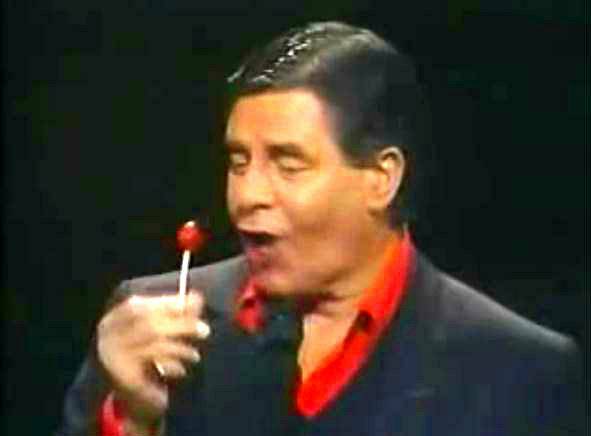 Jerry Lewis is an American comedian, actor, singer and recording artist, film producer, screenwriter and film director and is known for his slapstick humor in film, television, stage and radio. Lewis, who will celebrate his 90th birthday in March, was born Joseph Levitch (some sources say Jerome Levitch) in Newark, New Jersey, to Russian Jewish parents. His father, Daniel Levitch, was a master of ceremonies and vaudeville entertainer who used the professional name Danny Lewis. His mother, Rachel ("Rae") Levitch, was a piano player for a radio station. His career began in 1946, with an act together with Dean Martin, forming the team of Martin and Lewis, which performed in live nightclubs, television programs, radio shows and movies before 1956, when the two men parted ways, after ten years as a duo. Then since 1957, as a solo, Lewis went on to star in many more films, such as The Delicate Delinquent (his debut as film producer), The Bellboy (his debut as film director and screenwriter) and The Nutty Professor as well as many television shows and appearances, music albums, live concerts and more. From 1966 to 2010, Lewis hosted the annual Labor Day Telethon for the Muscular Dystrophy Association for over forty years and served as national chairman of the organization. In this video clip from a Comic Relief stand-up show in the 1980s, Lewis comes on stage to great applause and appears as a 5-year-old kid named Norman. Jerry Lewis at his best!